There has been chaos on twitter after a man with a Twitter handle - Amb. 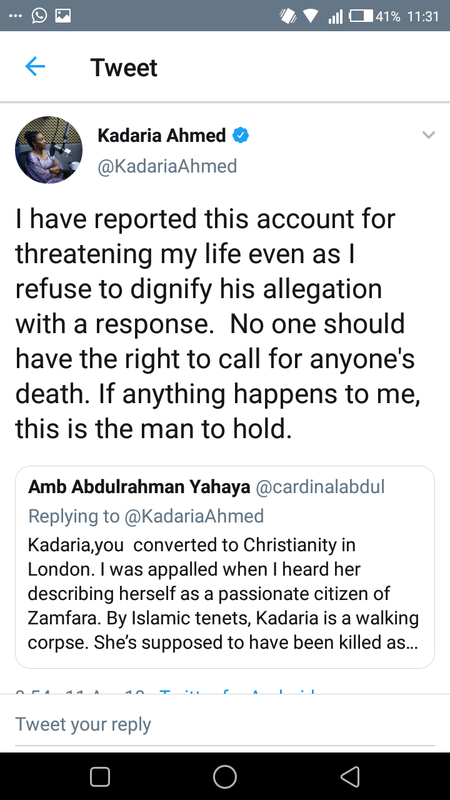 Abdulrahman Yahaya called out Kadaria Ahmed for converting to Chri*tianity in London before coming back to Nigeria. He described her as a "walking corps" already because he believed people like her are a disgrace to Isl*m and that she's supposed to have been killed as an apostate. 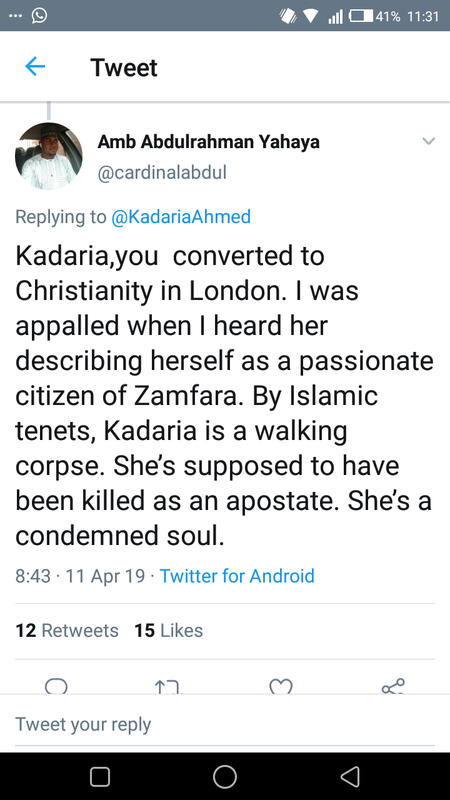 In his words, "Kadaria, you converted to Christianity in London. I was appalled when I heard her describing herself as a passionate citizen of Zamfara. 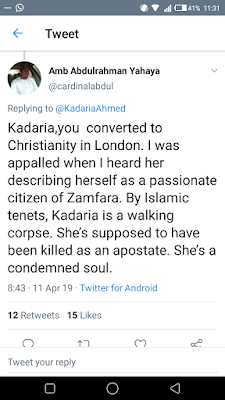 By Islamic tenets, Kadaria is a walking corps, she's supposed to have been killed as an apostate. She's a condemned soul". His tweet didn't go down well, and has prompted angry reactions from people. 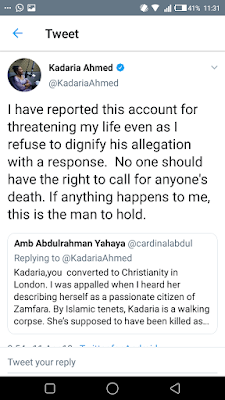 Kadaria had to cry out by saying, " I have reported this account for threatening my life even as I refused to dignify his allegation with a response. No one should have the right to call for anyone's death. If anything happens to me, this is the man to hold".